By Send2Press Newswire on October 22, 2013 in Awards and Honors, California, Employment, Insurance, Press Releases, SAN MATEO, Calif.
SAN MATEO, Calif., Oct. 22, 2013 (SEND2PRESS NEWSWIRE) — EPIC, a retail property, casualty and employee benefits insurance brokerage, has been recognized for a fourth year as a “Best Place to Work in Insurance” by Business Insurance Magazine and survey co-sponsor Best Companies Group. EPIC is one of only 65 companies nationally awarded this honor. Based on employee feedback, the company took second place honors in the medium retail broker/agent category. Companies were judged on employee engagement and satisfaction, benefit programs, policies, practices and other general information. Recognizing the value of a “people-first” culture, EPIC has developed a benefits package and work environment that attracts and retains top talent. The company offers its employees a generous paid-time-off package, a 401(k) match, a wellness program, and an annual employee appreciation day. Additionally, EPIC encourages its employees to participate in charitable events such as Susan G. Komen Race for the Cure and other community-service events, as well as supporting these efforts financially and with in-kind donations. Connect with the EPIC team on Facebook: https://www.facebook.com/EPICInsuranceBrokersAndConsultants . EPIC is a unique and innovative retail property and casualty, and employee benefits insurance brokerage, and consulting firm. EPIC has created a values-based, client-focused culture that attracts and retains top talent, fosters employee satisfaction and loyalty and sustains a high level of customer service excellence. EPIC team members have consistently recognized their company as a “Best Place to Work” in multiple regions across California and as a “Best Place to Work in the Insurance Industry” nationally. The 7th largest broker based in the U.S. West, EPIC has more than 300 team members operating from ten offices across California (Los Angeles, Irvine, Ontario, Inland Empire, Fresno, Folsom, San Francisco, San Mateo, Petaluma and San Ramon) and in Denver, Colorado and New York. With more than $80 million in revenues, EPIC ranks among the top 40 retail insurance brokers in the United States. The company’s strategic plan calls for more than tripling revenue over the next five years ($250 million by 2018) and further expansion across the country. For additional information, please visit http://www.edgewoodins.com/ . * Photo Caption: EPIC’s San Francisco Finance and Accounting team (led by CFO Elaine Andrian, with hand in air), was recognized in the firm’s EPICenter Newsletter for their “EPIC Excellence” earlier this year. 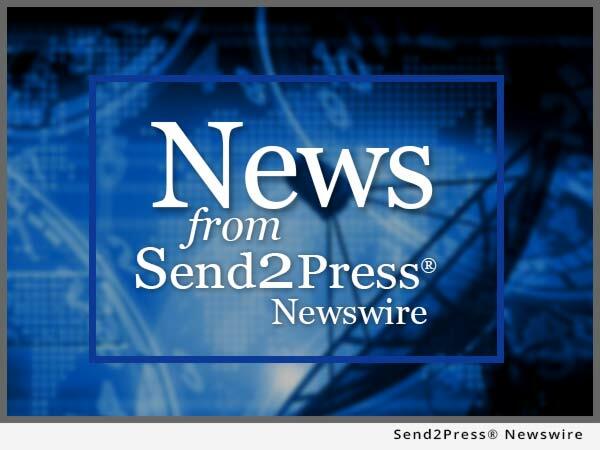 NEWS SOURCE: Edgewood Partners Insurance Center :: This press release was issued on behalf of the news source (who is solely responsible for its accuracy) by Send2Press® Newswire, a service of Neotrope®.